“Then you don’t respect yourself or your country,” the older man retorted. It was less than 24 hours before polls would open for Russia’s presidential election. The TV in the corner of the room began airing a retrospective on Oleg Tabakov, the legendary actor and theater director who passed away recently, and thus the conversation shifted to something on which the four people around the table could agree. Vladimir Putin will win today’s elections because he is genuinely popular. We should be clear about that. But we should also be clear about what exactly that popularity means. The typical political-science view of political behavior holds that preferences – whether expressed at the ballot box or to pollsters – are formed by citizens acting as rational, utility-maximizing individuals. Without wanting to knock the importance of rationality, if there is anything that the events of recent years around the world, from the Euromaidan to Brexit to Trump, should have taught us, it is that politics is fundamentally a social phenomenon. People intuitively and continually read their social surroundings, looking for cues that would convey meaning, solidarity and a sense of inclusion. Nobody votes in a vacuum. As Graeme Robertson and I have been arguing in a series of articles and in a forthcoming book, Putin’s popularity is based in part – perhaps in large part – on the role that he plays as the galvanizing symbol of a political community that is socially and emotionally valuable to people. That is not to say that symbolism is the only thing that is valuable to Russian citizens. But our surveys, interviews and terabytes of social media data are clear that Putin’s popularity is not based on any evaluation of material benefit. Russians know they have gotten worse off over the last several years. Russians believe the country will continue to get worse off, even if they believe they themselves will prosper. And people do not expect Putin to make their lives better. From Vladimir Putin’s point of view, “Maksim” is a model citizen. So, in Maksim’s view, is Pavel Grudinin, the Communist Party’s candidate: only the U.S. State Department could be behind his out-of-left-field campaign. And Grigory Yavlinsky, the liberal economist who has contested almost every Russian presidential election since the end of the USSR? A crook out to make a buck, Maksim says. But unfortunately for Putin – who can expect Maksim’s enthusiastic vote – Maksim is not a typical Russian voter. For one thing, Maksim believes the economy is on a solid footing (despite, in his view, the best efforts of government ministers he calls “traitors”), and even when things go wrong, he’s not inclined to criticize. In January, as part of our project, Graeme and I commissioned interviews of 14 Russian citizens in Moscow, St. Petersburg and Yaroslavl. (We hired trusted Russian researchers to conduct the interviews themselves, so as not to color the responses with the presence of Western academics in the room.) Most of our interviewees were neither so sanguine, nor so quiescent. Putin won’t, however, get “Marina’s” vote. As in many Western countries, Russians tend to live in political bubbles. Most of the people we have interviewed and surveyed feel that they share the values and political beliefs of those around them, whether family members, friends or colleagues. Relatively few people, however, think that more than half of the country as a whole share their beliefs and values, including about politics and Putin. Thus, despite the headline figure we constantly see about 86-percent support for the president, Putin supporters are if anything more likely than opposition supporters to think that they’re in the minority. Today’s election, then, serves as an important opportunity to help what we often call the ‘Putin majority’ – the relatively conservative, risk-averse core of voters for both Putin and United Russia (though less of a majority in the latter case) – to reestablish their own sense of dominance. That, at least, is the plan. To see how well it turns out, all eyes will be on turnout (pun intended). Back when Sergei Kirienko was put in charge of domestic politics at the Presidential Administration, it was reported that the Kremlin would be aiming for a 70/70 result in the presidential election – i.e., a 70 percent vote for Putin and 70 percent turnout. Aside from wanting to show that Putin’s appeal was not fading after all these years in power, Kirienko was likely pursuing a mathematical logic here. Getting at least 70 percent of the vote on at least a 70 percent turnout would mean that at least 49 percent of registered Russian voters would have cast their ballot for Putin. Getting 70 percent of the vote on 65 percent turnout, by contrast, would mean that only 45 percent of registered voters would have come out for Putin. That would allow the opposition to claim a moral victory – something that, given the importance of symbolism to Putin’s power, he might want to avoid. After United Russia’s rather poor showing on low turnout for the Duma election in 2016, those who claim to be in the know reported that Kirienko et al had abandoned the turnout benchmark and were aiming instead just to ensure a strong victory. By calling for a boycott of the election, however, Navalny forced the Kremlin back onto the ramparts. Anything below a 70-percent turnout would allow Navalny to claim victory, again something the Kremlin might want to avoid. It was, from Navalny’s point of view, a subtly brilliant strategy: marginally reducing turnout should prove a much easier task than what he would have had to do to win a substantial share of the vote for himself (had he ever been allowed to run). Thus, the first thing to look for as the results come in – aside, obviously, from the winner – is the turnout figure, and the lengths to which election officials feel they have to go to show the level of turnout the Presidential Administration seems to expect. Prior to the vote, officials at all levels pulled out the stops: there are more get-out-the-vote ads from the Central Election Commission than there are ads for all the candidates put together. Municipal officials have gone door-to-door repeatedly, and in some places individuals working for state institutions have reportedly been given targets for the number of voters they personally need to bring to the polls. The amount of ‘additional’ voters officials need to add to the result on election day will then serve as an inverse measure of the state’s ability to mobilize its citizens. 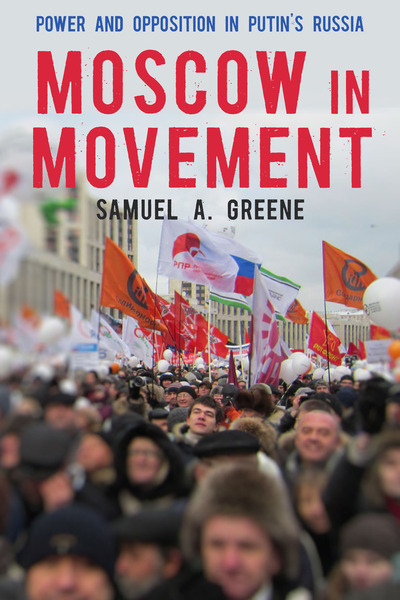 My own sense – based both on our interviews and on frequent observation in and around Moscow – is that the state’s mobilizational capacity leaves something to be desired. The second thing to look for is regional differentiation. If Russia holds to pattern and stereotype, Moscow and St. Petersburg can be expected to deliver both fewer voters and fewer Putin supporters than the rest of the country as a whole. There is reason, though, to believe that the pattern this time may not hold. For one thing, we have been seeing reports about falling support for Putin in major regional cities. Alongside that, the major protest of 2017 included a much more significant regional component than the 2011-12 protest wave, which was predominantly a Moscow affair, as were the anti-war and Nemtsov memorial protests of 2014-15. Navalny, too, has been investing heavily in regional infrastructure, opening offices to support his ersatz-campaign in dozens of cities around the country. Thus, while Moscow and St. Petersburg will almost certainly continue to look different than the rest of the country, the extent to which other major cities close the ‘dissatisfaction’ gap will tell us something about the degree to which the current opposition movement – as symbolized first and foremost by Navalny – has come to reflect the sentiments of a genuinely nationwide constituency. Lastly, we probably shouldn’t ignore the actual voting results. Obviously, the headline figure of Putin’s tally will speak for itself. But – while few analysts take them seriously as contenders – the results for Grudinin and Ksenia Sobchak will not be entirely meaningless. Grudinin and Sobchak are the first new names to emerge at the top levels of Russian electoral politics for quite some time, and it will be important to see the extent to which they are able to compete. If Grudnin, for example, is able to rally at least the number of voters who used to come out for long-time Communist candidate Gennady Zyuganov, it will signal that the KPRF may finally have resolved its succession problem; if not, it will be back to the drawing board.